The first historical references to the town of Narni, which at that time was called "Nequinum", go back to the year 600 A.C., but the zone had already been inhabited from Neolithic times. In 299 B.C. Narni became a Roman colony named Narnia, and in 233 B.C. it became an important fort for the construction of the "Flaminia Road". Do you want to visit Narni? 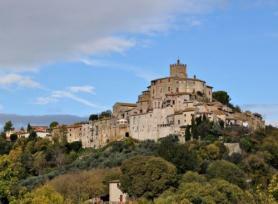 Look at our farmhouses and offers for your stay in Umbria! In 90 B.C. it became a township. Narni was exposed to the barbaric invasions because of its dominant position, and became a free township in the 11th century. 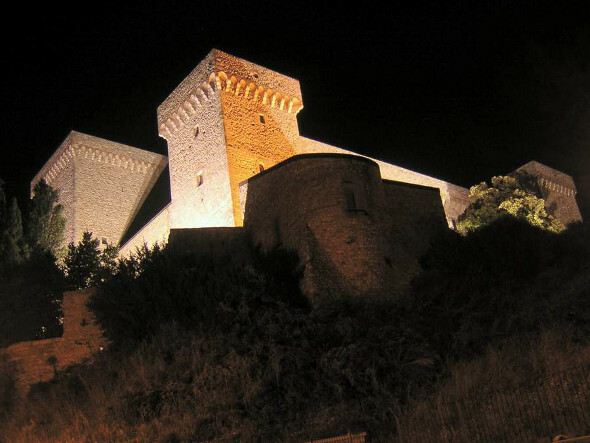 Narni reached its period of major splendour during the 12th and 14th centuries. During the Renaissance, the town was frequented by artists of primary importance such as Rossellino, Ghirlandaio, Vecchietta, Antoniazzo Romano and Spagna. In 1527, due to treason, it was taken by the Lanzichenecchi, who burned it. Artists such as the Zuccaris, Vignola, Sangallo and Scalza participated in restoring the town, and in 1664 the municipal library was founded. Among illustrious persons born at Narni are recorded the Roman emperor Cocceio Nerva, Gattamelata, the beatified Lucia, Berardo Eroli, Galeotto Marzio and Cassio of Narni. Numerous valuable monuments are to be found within the city. Amongst the most important, we would like to point out the romanic Cathedral with its works by Rossellino and other famous artists, the Church of St. Francis, erected during the 8th century with its noteworthy frescoes executed by the local school, the Palace dei Priori constructed in 1275 probably by Gattapone of Gubbio and situated in the medieval square of the same name. In this square one also finds the Town Hall constructed in 1273 by uniting three towers. In the inside, one can admire: the Coronation of the Virgin , painted in 1486 by Ghirlandaio, St.Francis with Stigmata by Spagna, the Annunciation by Benozzo Gozzoli and an Egyptian mummy of the 4th century B.C. At the back of the square a fountain dating back to the year 1303 is to be found. Other monuments situated in the historical town center which are surely noteworthy are: Scotti Palace with its frescoes by Zuccari (1581); the Gardens of St. Bernard, from which one may admire the splendid valley of the Nera valley, and from which one enters the subterranean rooms of St. Dominic ; the antique Church of St. Dominic, which is now the seat of the library and the State archives; the church of St. Restituta with the adjoining convent complex; St. Augustine (14 th century), which is rich in works of art, and the church of St. Margaret with its interesting cycle of frescoes attributed to Pomarancio. Just outside the city you will find the mighty strong-hold Rocca Albornoz , which was constructed around the year 1370 by Ugolino of Montematre for Cardinal Egidio Albornoz and has been recently restored, and the Bridge of Augustus , built in 27 B.C., 160 meters long. Its remaining arch is 30 meters high. The Cave of St. Francis, which is slightly more distant from Narni (18 km) with its interesting frescoes dating back to the 14th and 15th centuries, the Abbey of St. Cassiano, which is to be found right in front of the city, the Abbey of St. Angelo in Massa, and the protoromanic Church of St. Pudenziana (at 6 km distance), surely merit a visit.